This is probably the best dessert I have ever made. It tasted like a pumpkin pie, but you replace the crust with cake. Say what!? It was so so so yummy. The best part it is so easy to throw all the ingredients in the Crock Pot and go about your day. 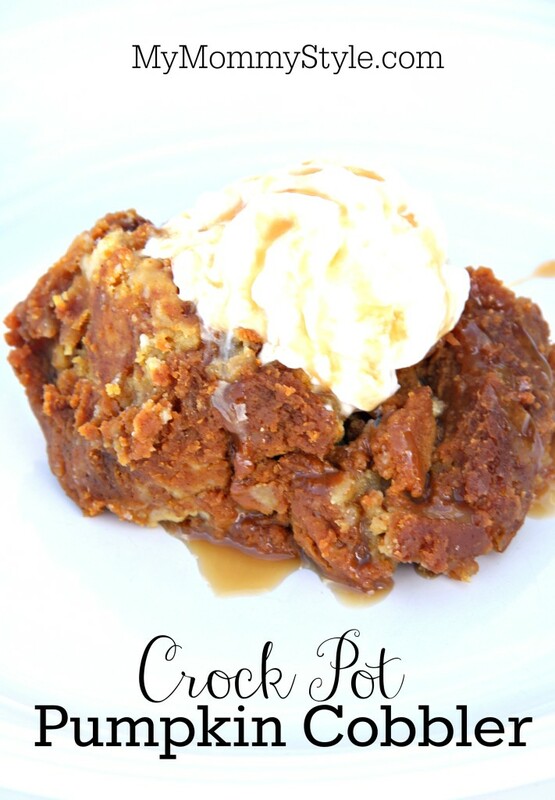 I love my slow cooker for dinner and I am starting to realize that slow cooker desserts are also AMAZING! Spray a 4-6 quart slow cooker with nonstick spray. Beat the eggs slightly and then add the pumpkin evaporated milk, granulated sugar, brown sugar, ginger, salt and vanilla. Mix until combined. Pour the mixture into the greased slow cooker. Top with the whole box of powdered cake mix and sprinkle with brown sugar. Top with the melted butter.